It's my birthday, so Mindy made me one of my childhood favorites: Matzoh Brie. 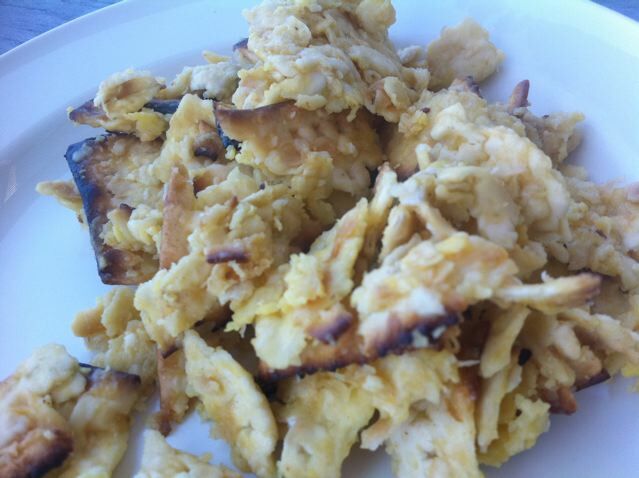 You soak matzoh in hot water (or milk) and then stir it up with eggs and cook it in a pan like french toast. We only had garlic and onion flavored matzoh so it's was different than I'm used to (plain) but it was still good.